The Supreme Court, by a 7-2 majority, has issued a decision in this closely-watched case holding that the Office of Management and Budget has no authority under the Paperwork Reduction Act ("PRA") to review regulations mandating disclosure by regulated entities directly to third parties. The government successfully petitioned for certiorari after the Third Circuit had ruled that OMB lacked authority under the PRA to consider the standard. While the Secretary of Labor was a named party in this case; and we publicly supported OMB's right to review the information collection request involved, we did not play an active role in fashioning the government's position on this issue in the Supreme Court. The case arose out of OSHA's revised hazard communication standard, which generally requires employers to provide hazard information directly to employees. After OSHA issued the revised standard on remand from the Third Circuit, it submitted the standard to OMB for PRA review. 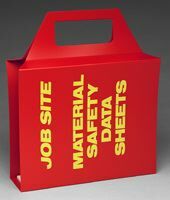 OMB disapproved a provision for the maintenance and exchange of material safety data sheets on multi-employer worksites because it believed the requirement was unnecessary and overly burdensome. It also disapproved two exemptions, one for consumer products and one for pharmaceutical drugs, on the ground that they were too narrow. OSHA disagreed with OMB's assessment, but it withdrew the three disapproved provisions in compliance with OMB's directive. The agency later issued a new proposal in which it mostly renewed its justification for those regulatory choices while inviting comment on whether they should be changed to conform to OMB's objections. The rulemaking also contemplated a number of other relatively minor changes in the standard. The Third Circuit then ruled that OSHA must enforce the three provisions together with the rest of the standard because the PRA does not give OMB the authority to review disclosure rules involving only information transmittal to private parties and because, in any event, OMB had impermissibly interfered with OSHA's substantive decision-making. When the government sought certiorari without seeking a stay of the Third Circuit mandate, the three provisions went into effect. Once the Supreme Court granted certiorari, however, OSHA ceased work on the rulemaking pending the outcome of the case. The dissenting opinion, per Justice White, faults the majority for not following the principles of deference to agency interpretation that were set forth in Chevron U.S.A. Inc. v. Natural Resources Defense Council Inc., 467 U.S. 837 (1984). It states that because the language of the PRA does not directly address the issue of disclosure rules and the legislative history also is ambiguous, deference should have been accorded OMB's permissible construction of the statute that it administers. As a result of the Court's decision, the OMB-disapproved provisions of the hazard communication standard, which were reinstated by the Third Circuit, continue in effect. OSHA must now decide how it wishes to conclude the rulemaking that it delayed pending the outcome of this case. The immediate significance of the decision is that, whatever OSHA decides, it will not now have to submit its regulatory choices to OMB for PRA review and approval so long as they involve only hazard communication to employees and not to the agency. More generally, the decision means that other kinds of disclosure rules requiring the dissemination of information directly to third parties also fall outside the scope of the PRA. Several caveats, however, are in order: first, an agency must still submit such proposed rules to OMB under its regulatory review authority (Executive Order 12291); second, provisions within such rules that require regulated entities to report information to or keep information for the agency are still subject to PRA review; and third, the possibility exists that Congress, which must reauthorize the PRA this year in any event, may prospectively overrule the decision by legislation. 1 The final footnote to the opinion notes that the Court did not reach the question of whether other provisions of the standard, such as the requirements to develop written hazard communication programs or to make material safety data sheets available to the agency upon request, might legitimately be subject to OMB review under the PRA.